The online Head-Fi community is the world’s largest organization dedicated specifically to the enjoyment of high-performance personal audio and each year it produces multiple large-scale CanJam shows across the U.S. and in select international sites. 2018 The CanJam event locations have included New York City, Southern California, Singapore, London, and now Rocky Mountain Audio Fest (RMAF), with CanJam Shanghai yet to come. By tradition, though, CanJam RMAF is usually one of the (if not the) biggest and best shows of its type of the entire year. A big part of the draw, I think, is that RMAF wisely combines a traditional hi-fi show with a personal-audio show, in the process inviting a desirable kind of cross pollination between audio enthusiast of all stripes. The upshot is an event that features a veritable cornucopia of new personal-audio offerings with happy hordes of enthusiasts eager to see and hear them. From the beginning, Abyss’ AB-1266 headphone has represented an attempt at state-of-the-art performance, but in the years since its inception it has undergone two rounds of evolutionary changes that have pushed its potential to greater heights. First came the Phi Edition version, which offered significant driver revisions and some earcup changes that brought substantial leaps forward in resolution, nuance, driver-matching, and frequency response linearity. Now, the new Phi CC Edition brings a baked-on ceramic coating (hence the ‘CC’ moniker) for the frame and earcups, plus revised earpads incorporating a deeper profile and new covering and padding materials. Surprisingly, the new pads have a significant impact on sound quality, yielding greater resolution and depth for a noticeably more free-flowing sound. Pricing ranges from $4995 to $7995, depending on the accessories and cable options. To date there have been high-end headphones using almost every type of driver imaginable—dynamics, electrostatics, planar-magnetics, and Heil-type air motion transformers, but no one has built a headphone based on pure ribbon-type drivers, until now. The RAAL-Requisite SRH-1A (studio reference headphone, $3500) is the world’s first pure ribbon-driver-equipped headphone. Featuring a minimalist headband and driver frame, with swing-aside dipolar ribbon-type drivers, the SRH-1A allows a range of driver positioning options (from almost flat alongside the ears to tilted well outward) to help fine-tune soundstage presentation. As you might expect, the sound is fast, effortlessly transparent, and full range with authoritative bass. The ultra-low-impedance SRH-1A ships with an impedance adapter that allows the headphone to be driven by full-size audio power amplifiers. RAAL offers user-replaceable ribbon “cartridges” should listeners ever accidentally damage their SRH-1A drivers. Sony had two impressive new personal-audio releases at RMAF: the DMP-Z1 headphone amplifier/DAC (covered in Steven Stone’s Digital Audio report) and the IER-Z1R reference-quality earphone ($2200). Sony’s Hayami Tobise said that, among other things, the IER-Z1R was designed for ergonomics, durability, and especially for the “realization of ‘air’ in the music.” Everything about the IER-Z1R shouts premium quality and attention to detail, both in physical construction and overall sound. The IER-Z1R features beautiful and durable, ergonomically shaped zirconium earpiece enclosures, ultra-high-quality crossover networks, and a distinctive hybrid driver array comprising a 16mm dynamic low/mid driver, a balanced-armature high-frequency driver, and a very small diameter, 5mm, dynamic, extreme-high-frequency driver. A brief listen confirmed that the IER-Z1R offers exceptional sonic transparency. 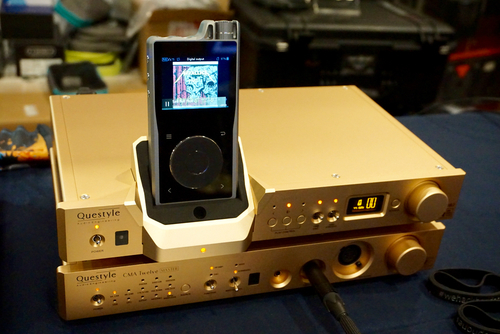 Many veteran headphonistas are familiar with the Chinese firm Questyle’s four-piece “Golden Stack”—a cost-no-object headphone-electronics suite comprising a DAC, a stereo preamplifier, and two monoblock headphone amplifiers. What we did not see coming, however, was a new and more affordable single-chassis component called the CMA Twelve Master, that embodies many of the design and construction features of the Golden Stack. The CMA Twelve is offered in two forms: a $1499 standard-quality version, and a $1999 premium-quality version, complete with exotic, ceramic printed circuit boards and very high-quality parts (just like the Golden Stack uses). In addition to providing the usual hardwired digital input connections, the CMA Twelve also offers a proprietary 5GHz wireless input system that connects with corresponding wireless outputs from Questyle’s matching SHB2 Superhub, priced at $1999 (standard) or $2599 (premium). There have been precedents for hybrid electrostatic/dynamic-driver-equipped full-size headphones (for example, the ENIGMAcoustics Dharma D1000), but no one has attempted the feat in a CIEM until now. Alclair’s fascinating Electro 6 universal-fit earphone ($1499) is the world’s first to combine two self-energizing electrostatic drivers plus four balanced-armature drivers within the tight confines of a CIEM earpiece. Based on a brief listen, its sound is very promising indeed. 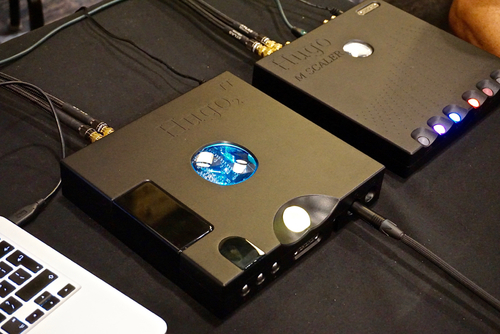 The Serbian firm Auris Audio is famous for tube-powered headphone amplifiers, and at CanJam RMAF it showed a desirable new model called the Nirvana ($6000). The Nirvana provides both balanced and single-ended inputs and headphone outputs and uses an ECC82 input tube and dual EL34 output tubes to produce a stout 6.5Wpc, while delivering a highly nuanced and expressive sound. 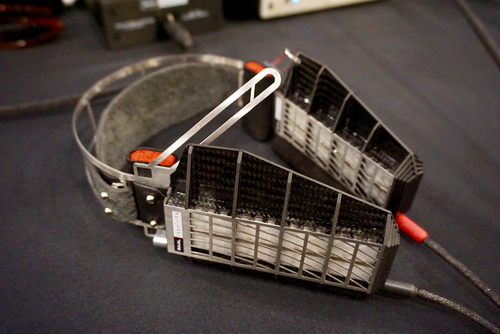 The amp generated considerable buzz among knowledgeable headphonistas. 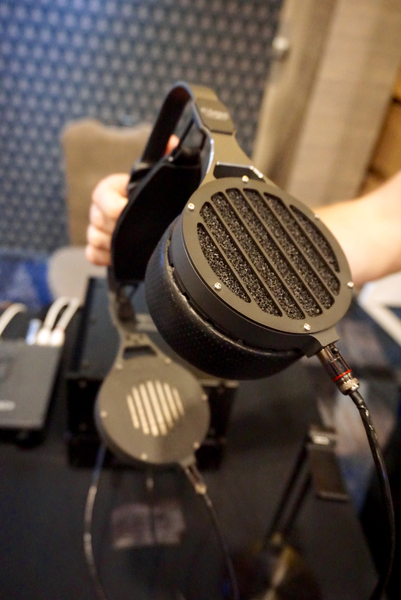 At CanJam RMAF, headphone specialist MrSpeakers launched its most ambitious planar-magnetic model to date: the ETHER 2 ($2000). The new ETHER 2 borrows its frame and earcup design from the firm’s widely praised VOCE electrostatic headphone, while incorporating an all-new and much lighter and faster-responding planar-magnetic driver. The ETHER 2 is remarkably light (under 300g) so that several headphone aficionados pronounced it the most comfortable headphone ever. From Italy comes the new Spirit Torino Twin Pulse headphone, the world’s first headphone to incorporate twin dynamic drivers with isobaric loading (as sometimes used in high-end loudspeakers). Claimed benefits of isobaric loading include doubling of power handling, doubling of impedance for more “efficient amplification,” and “halving of the linear movement” of drive units to “limit distortions and dynamic compression.” U.S. pricing is projected to be about $3500. Designed with input from bassist Nathan East, the N8 ($1699) is a nine-driver, 4-way CIEM featuring one dynamic bass driver, six balanced-armature mid drivers, one high-mid BA driver, and one “tia”-type high-frequency driver. 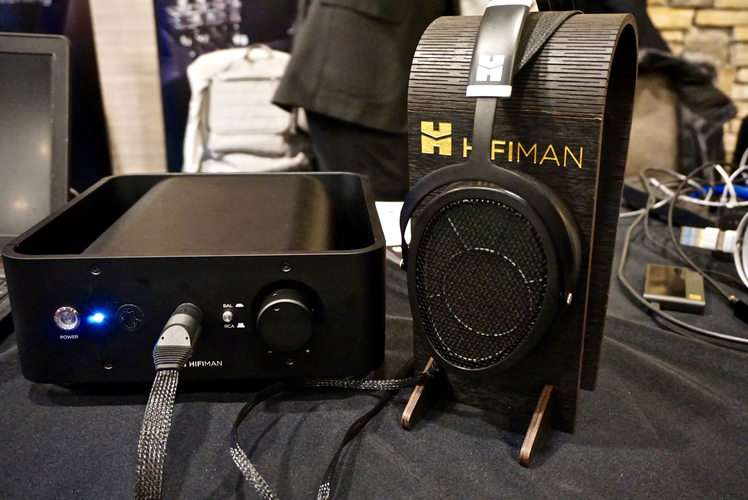 On the last day of RMAF the planar-magnetic headphone specialists at Audeze showed a prototype of its upcoming LCD-24 headphone, said to combine aspects of the highly musical LCD-2 and the flagship LCD-4. 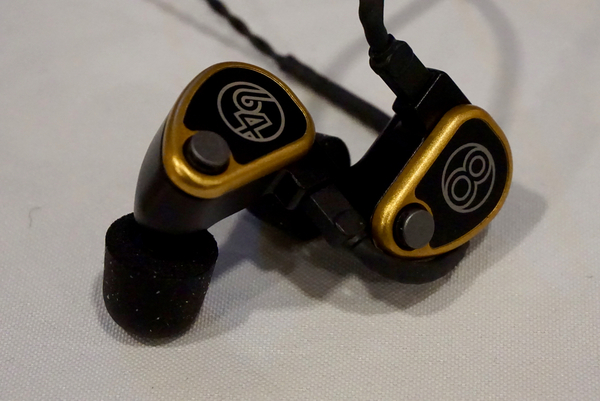 Oregon-based Campfire Audio previewed its most ambitious earphone to date: the Solaris ($1499). The Solaris represents a hybrid cross between Campfire’s two present top models: the dynamic driver-equipped Atlas and the balanced-armature-based Andromeda. The French loudspeaker (and now headphone) specialists at Focal added a new model to their upper-tier headphone family: the Elegia, priced at $899. Significantly, the Elegia is the firm’s first high-end closed-back headphone. 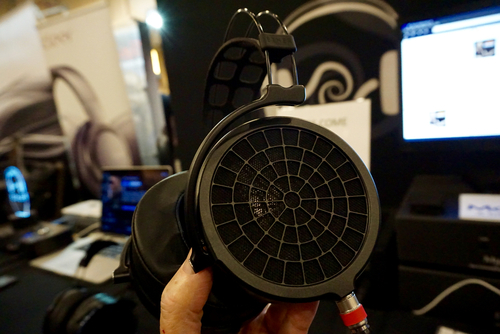 CanJam RMAF saw the launch of the new TH-909 headphone ($1799), an open-back version of Fostex’s famous closed-back TH-900 headphone. Like the TH-900, the TH-909 uses “bio-cellulose” drivers and is finished in red Urushi lacquer. Using the same compact form factor as iFi’s xDSD headphone amp/DAC, the xCAN is a single-ended/balanced output portable amplifier with an astonishing 1Wpc of power ($199 in standard form, or $299 with Bluetooth inputs). The ERA-1 ($799) is the first headphone offering from the legendary British speaker and electronics manufacturer Quad. Far from being a “me too” product, the ERA-1 offers exceptional transparency, inner detail, and well-judged tonal balance. Redscape’s headphone spatialization software package won’t be the first product of its kind on the market, but it might be the most effective. Target pricing for the package plus a headphone position sensor is $200. 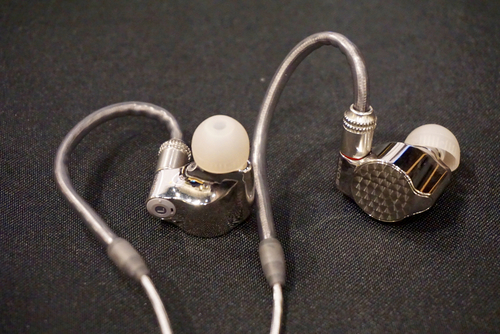 RHA is famous for precision-crafted yet affordably priced earphones, but for CanJam RMAF it rolled out something exotic: the CL2 planar-magnetic earphone ($899), which is small enough to fit entirely within the outer ear. Swan Song offers bespoke audio electronics crafted in the U.S., such as the 2Wpc Class A DAC headphone amp/preamp/DAC ($2900). Featuring meticulous attention to detail throughout, the Class A DAC is all about sonic purity. Cut from similar cloth to Woo Audio’s WA8 Eclipse tube-driven portable headphone amplifier/DAC, the new WA11 Passport is a smaller, battery-powered, solid-state, fully balanced, Class A headphone amp/DAC (pre-order at $1189, $1399 standard price). My comments focus solely on personal audio components and systems. Best Sound (cost no object): The Abyss AB-1266 Phi CC Edition planar-magnetic headphones, driven by XI Audio headphone amplifiers. Abyss’ CC edition updates have taken an already world-class headphone and made it even more nuanced, focused, and three-dimensional. Best Sound (for the money): The HiFiMan Jade II electrostatic headphone system. While $2500 (the price of the Jade II system) isn’t chump change, it is a bargain given the sheer sonic sophistication and musicality this system has on offer. Most Significant Product Introduction: The RAAL-Requisite SRH-1A pure ribbon-driver-equipped headphones as powered by Benchmark Media Systems electronics. As the world’s first ribbon-driver headphone, the fast, transparent, and well-balanced SRH-1A opens up a world of new performance possibilities. Most Significant Trend: A tie between A) continued development of very high-performance closed-back full-size headphones, and B) a growing shift toward including Bluetooth receivers as standard with most universal-fit earphones. Both trends emphasize the importance of portable solutions. Most Coveted Product: I can only offer my personal vote on this one and it’s for the 64 Audio N8 CIEM. The N8 offers rich tonal colours, refined rendering of textures and details, and highly expressive dynamics. Delicious!